It’s cold out. 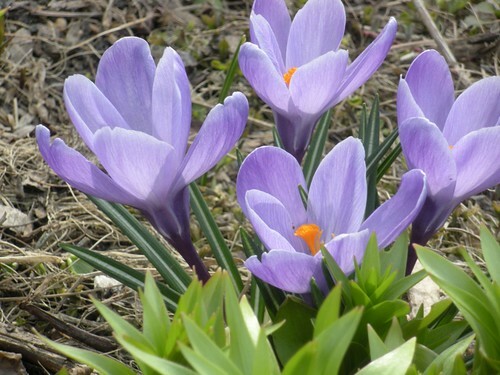 Have some crocuses from Paris. I read 28 books. Most of what I read was fluff, but hey, it still counts. I made a new friend. I learned how to make red curry. It basically involves mixing red curry paste and coconut milk, but I’m still excited about it. I made a skirt and some cushion covers for the couch. Despite not finishing any projects, I actually knit a fair bit this year. Enough that people in my French group now associate me with knitting. I wrote several thousand words over three projects. Two are unfinished, but one is coming along and might have some potential. I played a lot of board games. I organized my pots and pans, and I got rid of old clothes and a ton of random junk. I cut my hair. A lot.